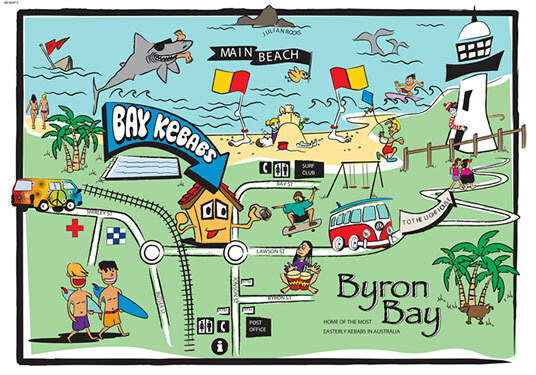 Founded in December 2003 in Byron Bay, Bay Kebabs has grown to be an institution favoured by locals and visitors alike. The idea was simple; cater to our customer’s active lifestyles and sell fresh, healthy and quick food. Bay Kebabs is locally owned and run, challenging preconceived ideas of kebabs and takeaway food. We use 100% chicken breast fillet as well as tender lamb steaks (not thigh chicken and processed lamb usually used in kebabs). Our Vegetarian falafel is among our shop favourites and is vegan friendly, packed with fresh salads that are all prepped in our kitchen daily. Our Hommus, Tahini, and Pesto are made locally in the Byron Industrial Estate and our Tzatziki, Aioli, Fresh Coriander Salsa and Tabouli are all made in house. 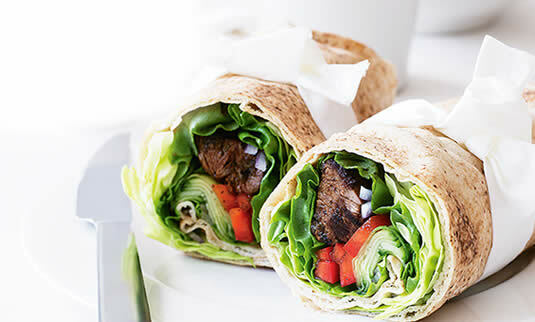 We are proud to offer Organic Gluten Free Wraps as well as take away salads and can cater to all dietary requirements. 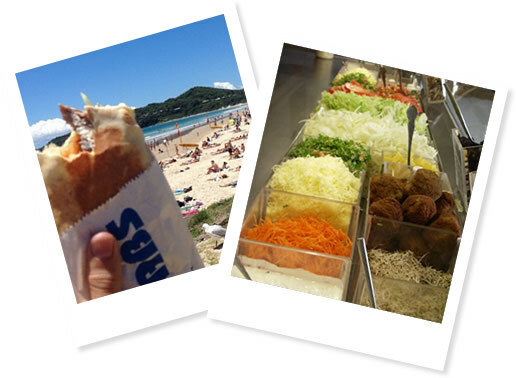 Founded in December 2003 in Byron Bay, Bay Kebabs has grown to be an institution favored by locals and visitors alike. The idea was simple; cater to our customers active lifestyles and sell fresh, healthy and quick food. When you’re next in ‘the bay’, grab a bay kebab! Our aim is simple; fresh, healthy & quick food! Check out our fresh menu! Our extensive menu has something for everyone. As well as the usual suspects we have taste sensations you wont find anywhere else! These include our Seafood Kebab with King Prawns and Avocado, the Oz Kebab with Bacon and free-range eggs as well as our Pesto Lamb with locally made hommus, basil and pine nut pesto and fresh salsa. We also offer catering services! What’s the special this month? 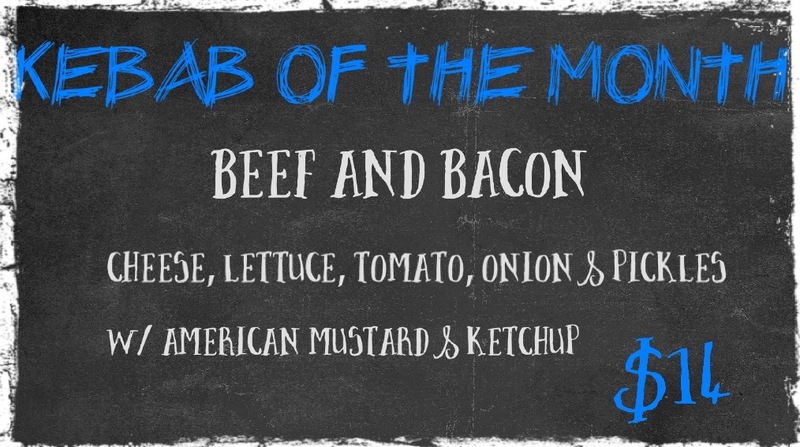 Every month we create a new combination of unusual or gourmet ingredients. Alongside our regular range the possibilities are endless! We are located in the heart of Byron Bay. Located 200m from the white sand of Main Beach, or a 2-minute stroll from any of Byron Bays Pubs or Bars.